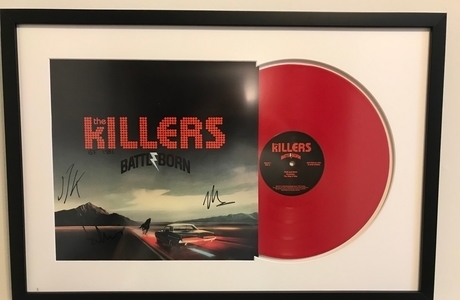 The frame arrived and it looks amazing. I can’t wait to hang it at our new place! I placed my order on the 7th of May, well behind the figurative 8 ball when it came to gift preparations for Mothers Day. I did not anticipate the framed graduation photo of myself to arrive before Mothers Day, but I was quite surprised! My Mom loves the picture. We were all ecstatic. She was amazed by the quality of the frame and the glass, and can be hard to please sometimes with a few Greg Kondos originals hanging around the house. Mom is new to the Instagram and Facebook game, but I'll convince her to give you guys a shoutout over @levelframes. I know the grandmothers are both expecting the same framed photo to match their respective homes very soon. Thanks! Some of the best customer service I've encountered! I'd say my favorite thing about Level Frames is actually their customer service! They are super quick to respond to my questions and so personable! I feel like I have my very own service rep all to myself :) The production/shipping is also really fast. And the 'installation' of my own prints is a breeze. The ONLY reason I knocked off a half-star is because the acrylic glaze can get super static-charged. We show our work outside and the pollen this time of year starts collecting all over it. So I looked up some installation tips, ordered some Brillianaze acrylic cleaner plus top-of-the-line microfiber cloths. Hopefully these additional steps will help a bit. The online process was very user-friendly. The frame shipped sooner than I expected; and I am very happy the end product. The price was reasonable. My sister could not have been happier with this gift, a framed picture that she will treasure her lifetime! It came out beautiful and you honestly have some seriously amazing customer service. Once again the folks from Level Frames came through big time. 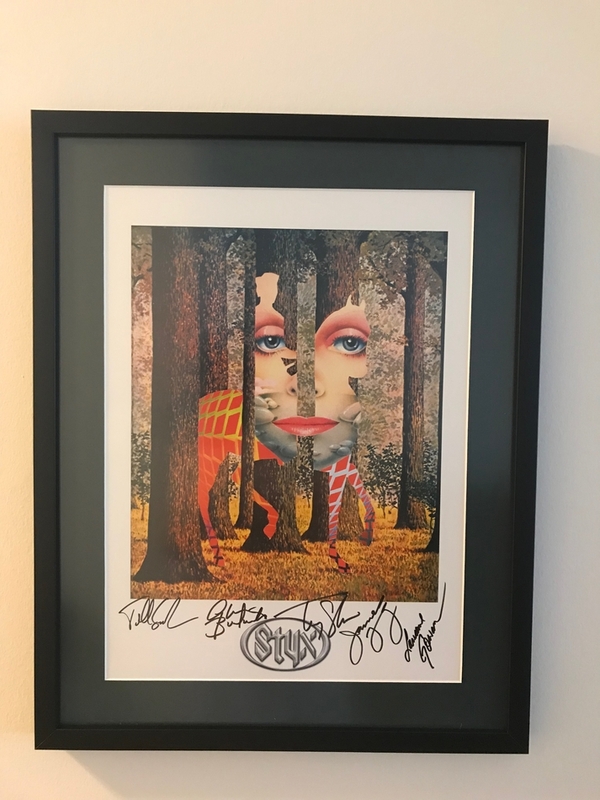 I had this Styx print of the Grand Illusion album autographed by the band, however the old frame & matte were second rate. 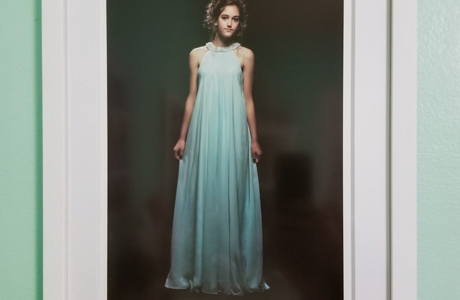 Kristi helped pick out the perfect combination of frame/matte to do this print the justice it deserved. Top quality work & service all around! All my pics are from my iPhone and you guys make them look like professional photographer did them. Also, I had a change in my order as I forgot to specify the right sizing. I called your customer service and they were awesome in helping me out and getting me the right size after I’d already placed the order. I was really impressed. From order to ship was very fast literally only 1 week which makes it nice for last minute gift ideas etc. Also can’t beat the pricing, very affordable. Anyway, loved the service and I plan on making many more orders in the future! The entire process with Level Frames was simply perfect - ordering could not have been easier, the thumbnail images were extremely helpful and the options and choices were flexible yet extremely tasteful. And the final product? It exceeded our expectations by a great deal. A photographer I knew growing up taught me you could almost judge a portfolio by flipping the pieces over and only looking at the back; the level of detail and care present on the reverse side was a great indicator of the professionalism of the person. The entire piece was extremely well crafted, the quality and finish of the wood in the frames was lovely. Most importantly, the finished prints were incredibly faithful to the originals, which is astonishing given we had no contact regarding preferences and that the scale was pushed beyond reasonable expectations given the size of the original files. We will without a doubt be coming to you for more - this was our test case, and we now feel we have a good idea for how the images need to be prepared in regards to contrast/black point etc. Thank you so much for your wonderful work - what a great business concept with even better execution! The beautiful frames, quick turnaround and great packaging are all noteworthy, but it's the terrific, friendly, prompt customer service AND follow-through that have made me a believer and referer. Thank you Level! 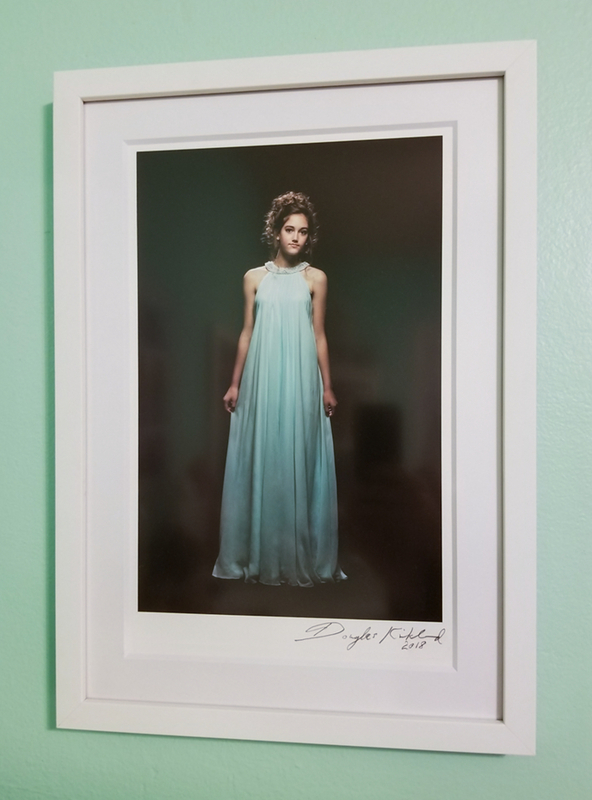 The frame is perfect and I found the entire ordering process to be extremely pleasant (great website, great customer support). The instructions for assembly were also excellent. I'll definitely recommend you guys to anyone who needs a frame! I am very pleased with the work of level frames. I am an amateur photographer and I travel. I have had 10 of my photos framed. The packaging is phenomenal; I’m confident my photos will arrive in one piece. The framing is lovely and the frames excellent quality. I thought about buying frames retail but my photos would never look as beautiful. I’m so glad I found Level Frames! A few issues with the order, but customer service made it a 5 star experience. Needed two matching frames for some prints in a guest bedroom. Ordered using the online tool and the frame options provided. Arrived within 2 weeks. Very well packaged. Outstanding quality. Taking 14 days from order to delivery -- was hoping for it sooner for it sooner as it's a gift for someone. Otherwise, good service. 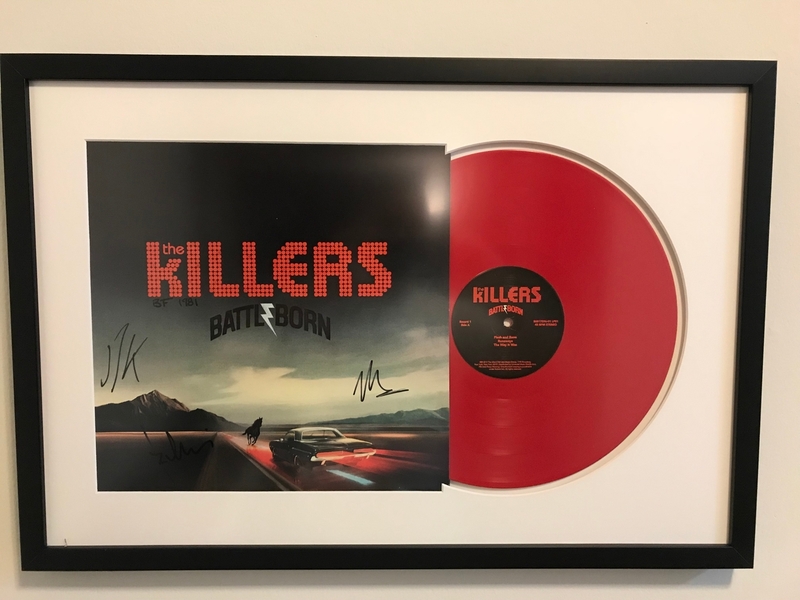 I was looking to get a few of my favorite signed albums framed with quality being my primary focus. These guys came through in a superb manner. It's obvious they take quality very seriously, and it really shows in the final product. I would recommend for anyone looking for great custom framing. Thanks Kristi & Josh! So pleased with the product! I found an image I loved from Google Earth and wanted to hang it in my home. I found the process of uploading my photo and selecting a frame extremely easy and the frame arrived in great shape. My simple internet pic was turned into a classy framed photo! They came really fast, fit perfectly, easy in every way, and looked great. Excellent metal frame with the help of your people. They helped me visualize a better result. You packaged it marvelously. If I had more room on my walls I’d give you more business but I’ve been living in my apartment for 35 years and it’s getting tight. I discovered Level Frame quite by accident on Face Book and being in quick need of a framed photograph for an upcoming exhibit, I decide to inquire and give you the needed information to PRINT, FRAME and ship ready to hang. WOW!! I can unequivocally say you folks at Level are magnificent! The process to order is very intuitive, and has provisions for specific directions, if needed. I needed an off white mat with a black core, a simple black frame, and non-glare glass. That's EXACTLY what I received, and in time!! (five work days from order). I am very impressed!! 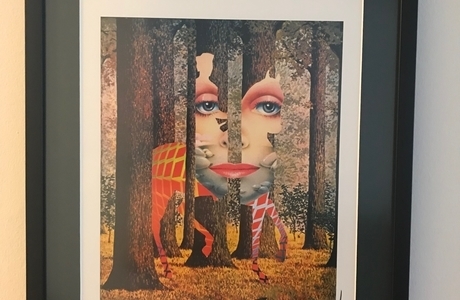 Beautiful mitered corners, backing is nicely applied and neat, above all the print image reproduction is perfect! Very Happy! !